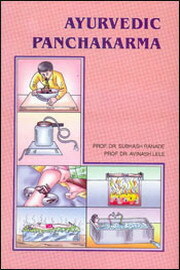 The book ‘Panchakarma’ by Prof. Dr. Subhash Ranade and Prof. Dr. Avinash Lele has been written as per the syllabus prescribed by C.C.I.M. for 3rd Year B.A.M. & S. students. This book covers Paper 4, Section (K) in detail. The authors have included all the references from various texts and have explained them in a lucid manner. This book is also useful to students in foreign Countries, who are interested in this subject. good description ..but need point wise...so we can understan ..